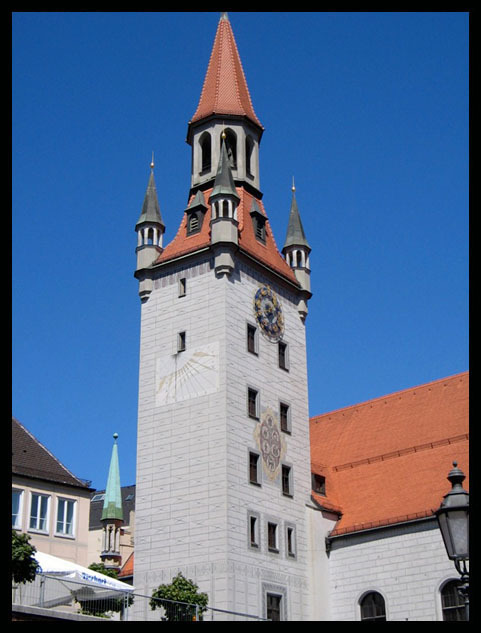 Imagine a typical clock tower or cupola that has sundials on each face instead of clocks. Few people realize that it is possible to have accurate, precise sundials that really tell time, and most don't know that you can have a sundial on a wall, or even a North wall, or for that matter, on a cupola or tower. What's really great about a multi-sided sundial cupola is that you can have a sundial on each side. Although four-sided cupolas are most common, you could even have an octagonal cupola with eight sundials! This non-profit educational website features an image archive of all suitable available images of Sundial Cupolas, Towers and Chimneys. We’ve included pages on their design and construction, information and references, and commissioning a sundial. We hope that this website will inspire people to make more of these rare sundials in the future and to conserve the few ones that currently exist. Also, we want to preserve good photographic records of existing examples since the dials will surely deteriorate as time passes. We began this website in the 2004. Since then, we have added many new photos sent to us by many generous people. These sundials are more practical and useful than most other sundials because they can be seen from a great distance. Since they are so high up, they are vandal-resistant and are usually not shaded by nearby trees or buildings so they will tell time all day long, from sunrise to sunset. On a four-sided cupola with four sundials, when the sun is shining, it's interesting to note that two of the sundial faces are always lit by the sun and working! But four times a day, there is a short moment that just lasts a couple of minutes, when only one face is lit and working. This occurs when the sun is directly in front of one of the faces just before it "turns a corner" around the cupola. To see other types of vertical wall sundials, visit our sister websites featuring Painted Wall Sundials and Stained Glass, Mosaic and Ceramic Sundials.